The great benefits of working with SaaS,is that you don’t really need any infrastructure to get started. 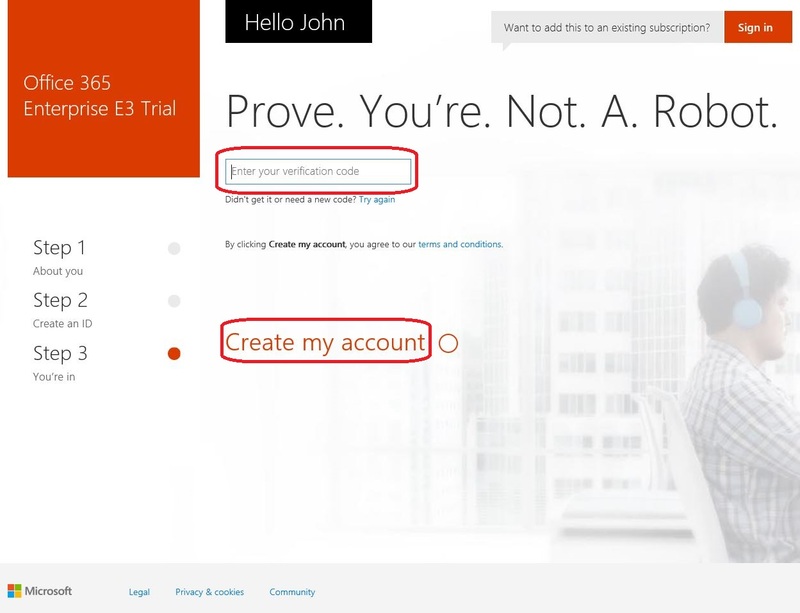 For example you could basically get started with an Office 365 tenant in just a couple of minutes. With all new startup companies and young and bright people start up there own business, its critical to have basic it-structure from start to a limited cost. Therefor, I will simply show how easy you could get started with office 365 with the basic functions like email, OneDrive for Business, Skype for Business, Sharepoint, so on and so forth. 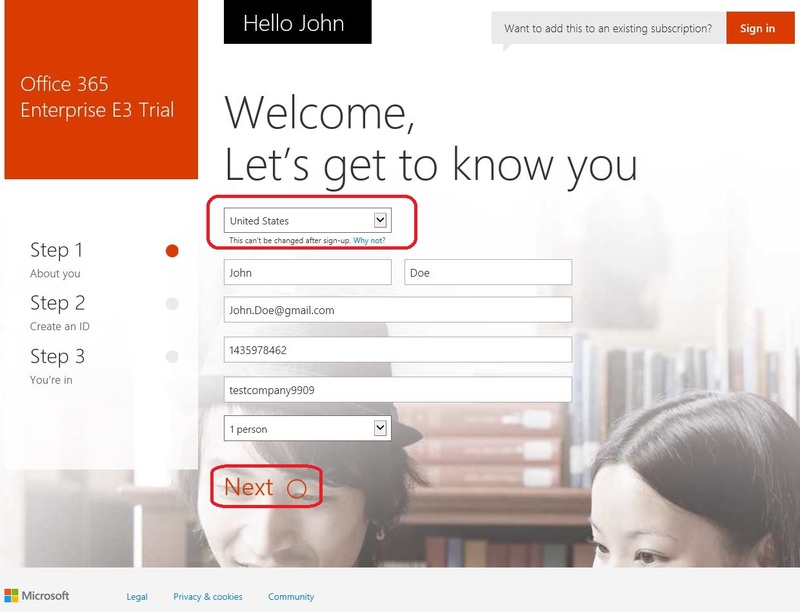 Go to Microsoft Office 365 setup guide for E3 licenses here. Be sure to select the correct country, so the tenant is provisioned in the correct datacenter for your location and then press next. 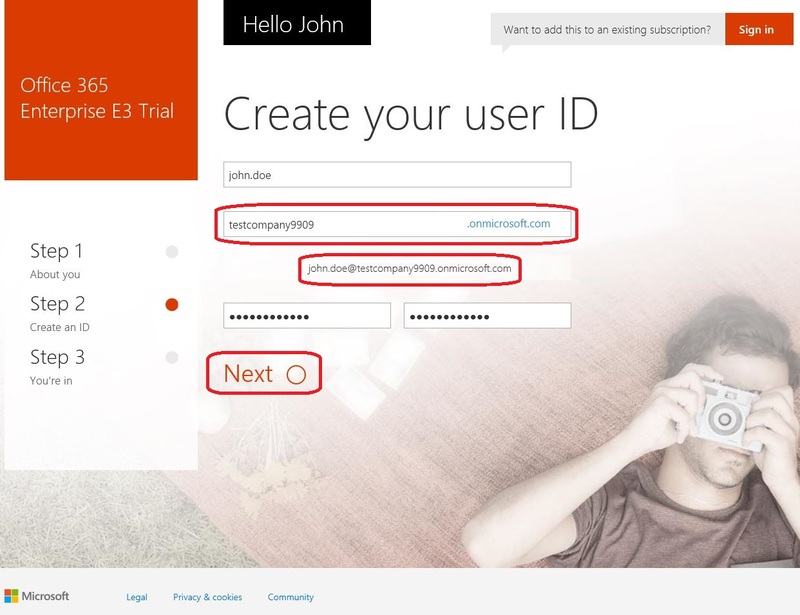 Now its time to enter the information for the first Office 365 account in your tenant. Normally, you would like to create a account named “Admin” of some sort. Be sure to double-check the “Company name” that creates the first account. This name cannot be changed later on. This name will also appear in the tenant, for example thecloudgeek.sharepoint.com. Also make sure to save the credentials you insert! The tenant will now be provisioned, it make take a couple of minutes before all services are functional and working as planed. 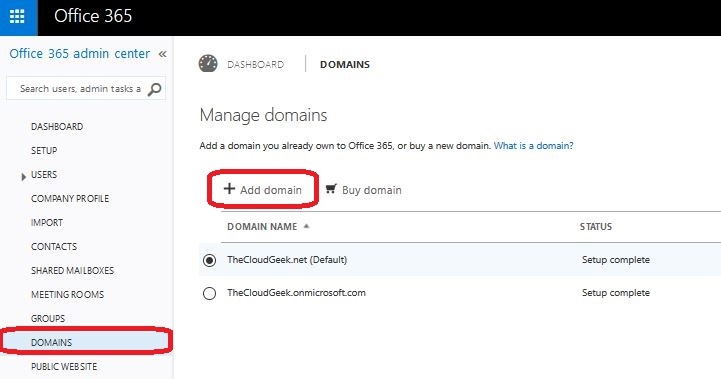 Get all Office 365 services working with your custom domain! When the tenant is provisioned, you will only have the *.onmicrosoft domain in your tenant. Of course you need to add your private custom domain. 4. Add your domain by following the guide. You will need to verify that you own the domain before you can start using it. This is normally done by adding a TXT record into your dns zone. 6. 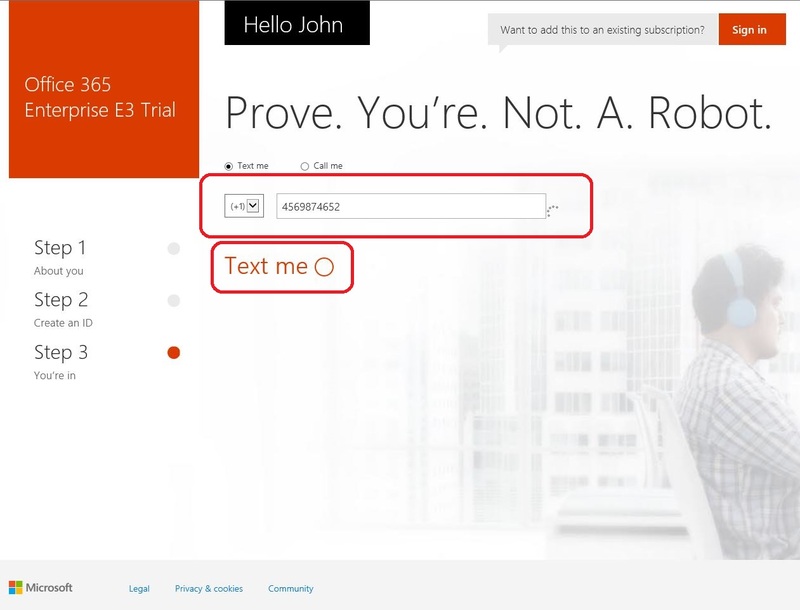 When all above records is tested, your Office 365 services will be online and all functional! This entry was posted in Microsoft Infrastructure, Office 365 on May 20, 2016 by TheCloudGeek.net.